And what exactly does that mean? Well, basically, milk contains a whole range of nutrients, vitamins and minerals. To get all these in just one product is pretty amazing – we’re talking biggies like protein and calcium as well as Vitamins A, B, C, D, E and K and essential minerals such as iodine and zinc. Yes, all that in one glass! Accordingly food professionals describe it as ‘nutrient rich’ relative to its energy content. 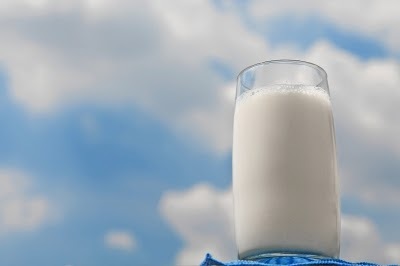 Because of the range of nutrients it contains, milk is considered beneficial for healthy bones and teeth, important in maintaining a healthy metabolism and rate of body growth (because of its iodine content) and a good source of Vitamin B12, which keeps your nerve and red blood cells in tip top shape. Wow. 2. Skimmed milk vs whole – it’s not that simple! This is a controversial area – just Google it if you don’t believe me! While some ‘experts’ (remember just being on the Internet doesn’t make you one) describe whole milk as a high fat product (in fact whole milk is standardised to a minimum fat content of 3.5%) there’s an increasing argument that milk that has had the majority of the naturally-occurring fat taken away is less satisfying (and so people simply eat more of other foods to compensate for that loss!). It’s also worth remembering that while semi-skimmed is less than 2% fat and skimmed is as little as 0.1%, there’s actually not that much difference between these low-fat varieties and whole milk in percentage points. And let’s face it, we don’t have a rising obesity problem because everyone is guzzling whole milk 24/7 – the junk food, sat fats in crisps, cakes and biscuits and sedentary lifestyles are more of a problem (but not quite so easy to give up...)! Some people might find that diary products cause digestive problems and think that they could be ‘lactose intolerant’ – and so avoid milk altogether – missing out on the all the goodies it contains. But, as ever, things aren’t that simple. It turns out, in true Orwellian style, some cows are more equal than others! It’s like this; cows' milk contains protein of which there are two types - known as A1 and A2. Originally all cows had just the A2 protein but over the years A1 has become the dominant one in European and UK herds (remember we used to have Jersey cows dotted over our fields, but now it’s the picture book black and white Friesians?). A1 protein digests differently to A2 protein and has been linked to tummy troubles, meaning that, in some cases, people may be reacting to the A1 protein, rather than lactose or other general milk proteins. The ‘go to’ product for these people is a2 milk – which you can find on the shelves of supermarkets right next to the regular milk. And if you really want to know if you are lactose intolerant you need to see your doctor! Forget sugary and artificial ‘sports drinks’ – fitness freaks everywhere are turning to milk after pounding the pavements and muscle-making gym routines. Milk offers a classic combo of carbs, proteins, water and electrolytes (plus all those nutrients I was banging on about earlier) that you need to recover, repair and rebuild your body after sport and exercise. Plus it’s cheap and quick – and isn’t full of crazy chemicals and fake sugar. There’s even a ‘Team Milk’ led by sports legend Denise Lewis backing the white stuff! Alongside a growing trend for ‘raw food’, unpasteurised – or ‘raw’ milk is now available. There was even an Organic Raw Milk vending machine in Selfridges Food Hall at one point. But again this is a controversial area (who knew milk could be so contentious!)! In the past, the pasteurisation process sterilised milk to avoid contamination by tuberculosis and brucellocis (diseases the cows themselves had at that time) and against bacteria such as Salmonella, E. coli and Campylobacter introduced via a far less regulated milking process. But some people feel the very high temperatures used to destroy bacteria also damages the natural structures of the proteins in the milk, making them harder to digest. and raw milk advocates believe it also offers natural state cholesterol that the body can metabolise and use and ‘good bacteria’ to help the gut. If you fancy giving it a try, the Food Standards Agency checks all raw milk and oversees hygiene standards in England, allowing milk producers that meet the required standards to sell raw milk. So, think outside the carton and try and add some more milk to your diet – particularly if you’re regularly working out. If you don’t fancy it straight make a smoothie, a fish pie or a rice pudding to give your menu a nutritional boost. And let me know how you get on, in the comment box below. Interested in taking part? Click here.